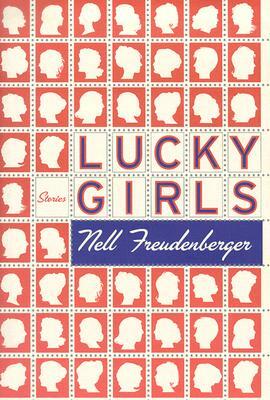 Lucky Girls is the debut collection by an author who first came to national attention with the 2001 publication of the title story in The New Yorker fiction issue. Here are five stories, set in Southeast Asia and on the Indian subcontinent -- each on bearing the weight and substance of a short novella -- narrated by young women who find themselves, often as expatriates, face to face with the compelling circumstances of adult love. Living in unfamiliar places, according to new and often frightening rules, these characters become vulnerable in unexpected ways -- and learn, as a result, to articulate the romantic attraction to landscapes and cultures that are strange to them. In "Lucky Girls," an American woman who has been involved in a five-year affair with a married Indian man feels bound, following his untimely death, to her memories of him, and to her adopted country. The protagonist of "Outside the Eastern Gate" returns to her childhood home in Delhi to discover a house still inhabited by the desperate and impulsive spirit of her mother who, years before, abandoned her family for a wild, dangerous journey across the Kyber Pass to Afghanistan. And, in "Letter from the Last Bastion," a teenage girl begins a correspondence with a middle-aged male novelist, who, having built his reputation writing about his experiences as a soldier in Vietnam, confides in her the secret truth of those experiences, and the lie that has defined his life as a man. Lucky Girls marks the arrival of a writer of exceptional talents, one whose generosity of spirit, clarity of intellect and emotion, and skill in storytelling set her among today's most gifted and exciting young voices.